Ok, so I'm not Irish, but with my naturally pale skin, freckles, and red hair, I certainly look the part! 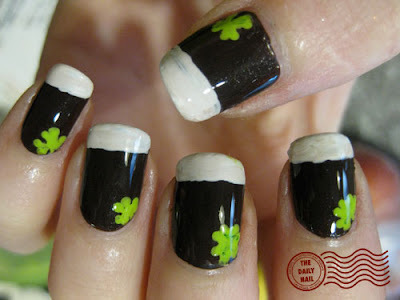 :-P Sooooo, in honor of St. Patty's Day, I painted pints of Guinness on my nails (and some shamrocks, of course!!) My favorite part is that the brown I used is MAC's Rick, Dark, Delicious....could there be a more PERFECT color name to use for Guinness?! 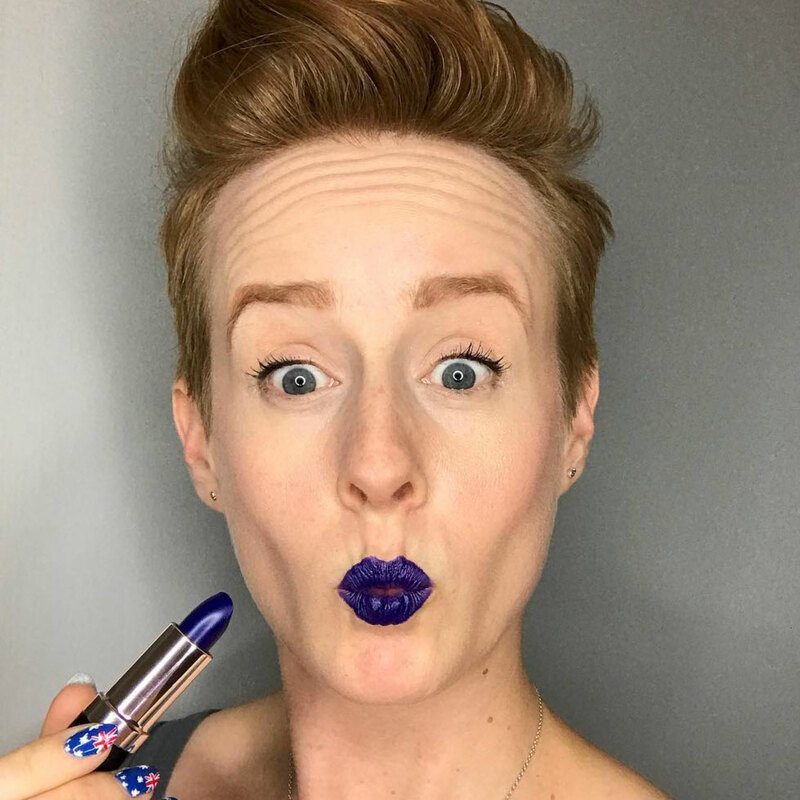 I used MAC Rich, Dark, Delicious as a base, then mixed with American Apparel Cotton for the 'head' or foam. For the Shamrocks, I used Pure Ice Wild Thing. Topped everything off with 2 coats of Seche Vite top coat. Very cute your festive nail!!! And the cupcakes look delicious!! 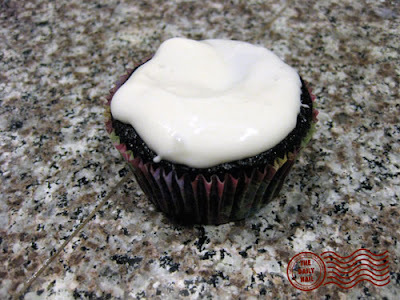 I have an awesome recipe for Guinness Gingerbread if you ever want it! Love your nails as always! I wanted to do some Guinness nails by my polish collection doesn't yet include a nice dark brown. and the frosting looks like foam :) love the nails!! YUMMY!! the cupcakes and the beer! and those cupcakes look SOO YUMMY!! ha ha, yew've opened it......good luck ;) ...... 2nite at midnight yewr true love will realize they love u!!!!!!!!! something good will happen tew u at 1:00-4:00 p.m 2morrow.... it could be anywhere. Get ready for the BIGGEST SHOCK IN YEWR LIFE!!!! ********************************** if yew break this chain, yew will be crushed with relationships problems for the next 10 yrs. Post this within the next 15 mins. .......... ......... ..................... ............ . GOOD LUCK!!!!!! 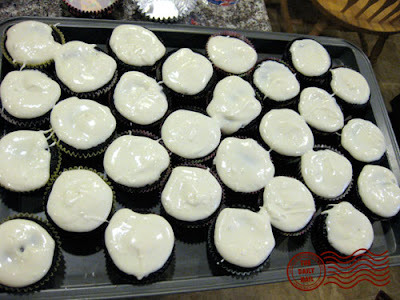 oh the cupcakes are better with baileys frosting instead. That mani is super cute!